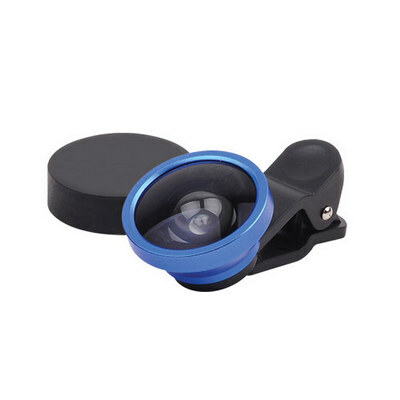 3 in 1 mobile phone lens set; With a universal lens clip, the lenses can fit on most phones (iPhone, HTC, Samsung, LG, Sony etc) and can also be used on iPads and tablet PCs. ; Includes: 0.67 wide angle lens, 10x macro lens and 180 degree fish eye lens; Wide angle lens - Angle: 130 degrees, Magnification: 0.67X, Max diameter: 20mm, Height: 8.2mm; Macro lens - Magnification: 10X, Min. object distance: 10-15mm, Max diameter: 17mm, Height: 6mm; Fish eye lens - Angle: 175-180 degrees, Max diameter: 25mm, Height: 15mm; One set includes: wide angle lens, macro lens, fish eye lens, two lens covers and 1 clip.